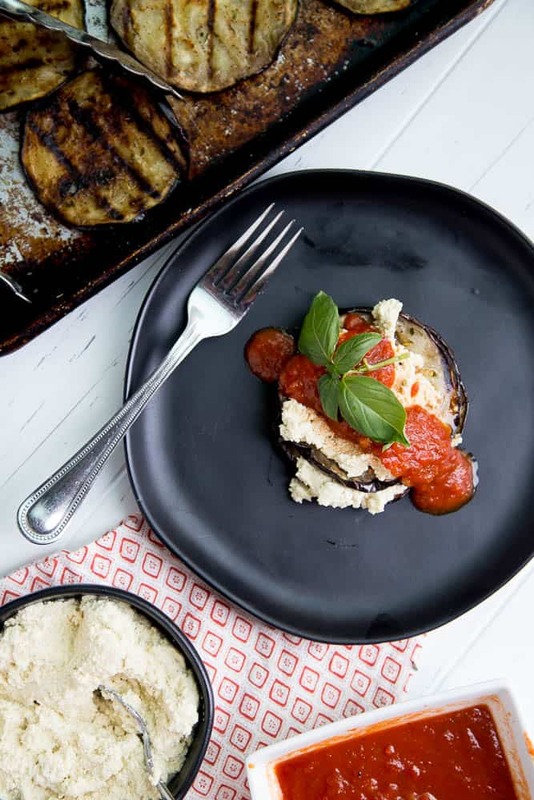 I feel like I created a unicorn here with this grilled eggplant recipe. It’s easy, quick (even quicker if you make the ricotta ahead of time), doesn’t require an oven/stove (yay, summer grilling! ), and is paleo, low-carb/keto, AND vegan. The fact that it’s vegan was totally an accident. 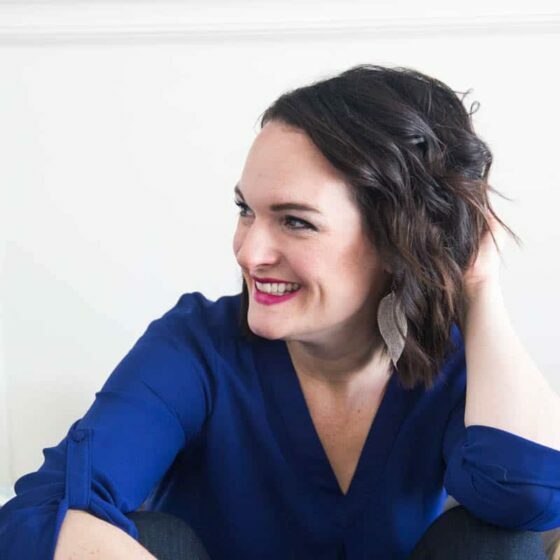 If you’ve spent more than 5 minutes on my site, you’ll know that creating vegan recipes is not high on my priority list. So, eggplant. Love? Hate? Have an issue with its funny texture? I feel like you have to really have to have the end goal in mind when cooking with eggplant for the first time. Picking up a foamy vegetable covered in dolphin-like skin isn’t the most appetizing thing. Eggplant does have a pretty deep purple color, which I love. Too bad it doesn’t stick around after cooking. Luckily, that piece of foam turns soft and silky when it’s finished. 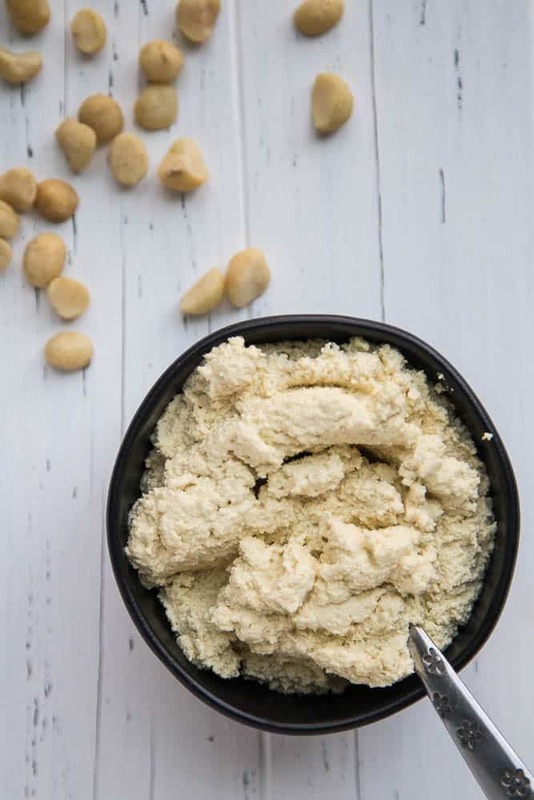 And let’s address what you’re all thinking when you saw the title of this post, “What the heck is macadamia ricotta?” Well, exactly what it says — a ricotta substitute made of whipped macadamia nuts. 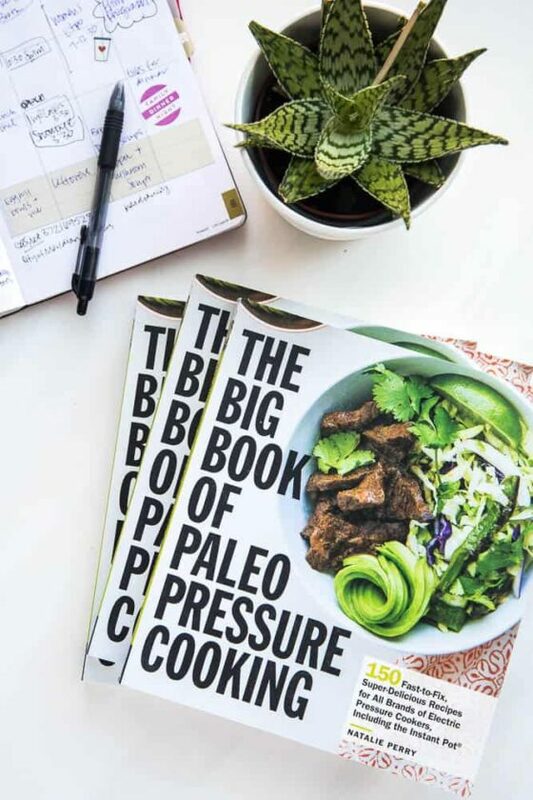 There’s a version in Michelle Tam’s book, Nom Nom Paleo: Food for Humans, but I prefer to soak the nuts before blending them and adding a couple more ingredients for extra flavor. Does it taste like macadamia nuts? Kinda, yeah, but only if you’re eating it by the spoonful. 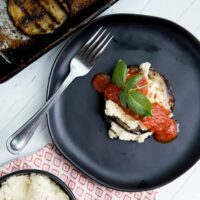 When it’s nestled between a tender piece of grilled eggplant and a drizzle of marinara sauce, it’s more ricotta-like. My original intention with this recipe was to layer it in a baking dish and create a lasagna situation, but I’m taking the easy route more often than not these days. Grilling the eggplant and making individual stacks accomplished the same thing without dirtying up a baking dish and turning on the oven. 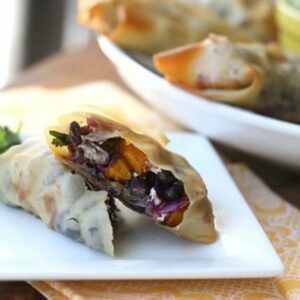 I have other eggplant recipes on my site if you want to check them out! Roasted Ratatouille Meatloaf & Marinara — I loved the previous recipe so much I made an Italian version of that turkey meatloaf with roasted eggplant, tomatoes, and zucchini for my newest book, The Big Book of Paleo Pressure Cooking. (Paleo, Low-Carb) Also in the book is Middle Eastern Eggplant Hummus. Have you ever tried macadamia ricotta "cheese"? It's hearty, dairy-free alternative to ricotta filled with lots of healthy fats. 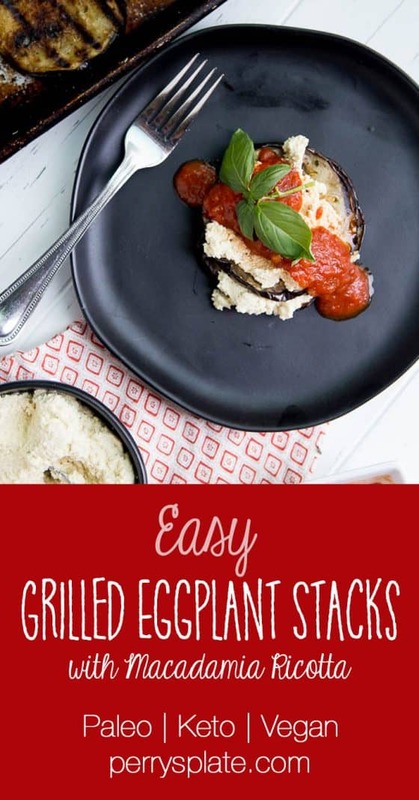 These Grilled Eggplant Stacks remind me of lasagna, but much less fussy. 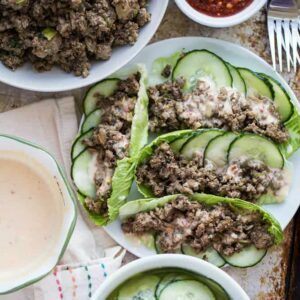 It's also paleo, vegan, and low-carb/Keto friendly! Soak the macadamia nuts in hot water for about an hour. Drain them and discard the soaking liquid. Place the soaked nuts in a food processor or high-powered blender along with the other ricotta ingredients and 1/2 cup of fresh water. Pulse, until the nuts are finely minced, then blend for 2-3 minutes, scraping the sides of the work bowl (or pitcher) as needed. The ricotta shouldn't be super grainy or crunchy from the nuts. 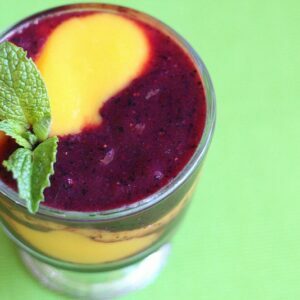 Blend it until it looks somewhat fluffy and there aren't any chunks of nuts remaining. Put in a lidded container and set aside until ready to use. Preheat the grill to medium heat. 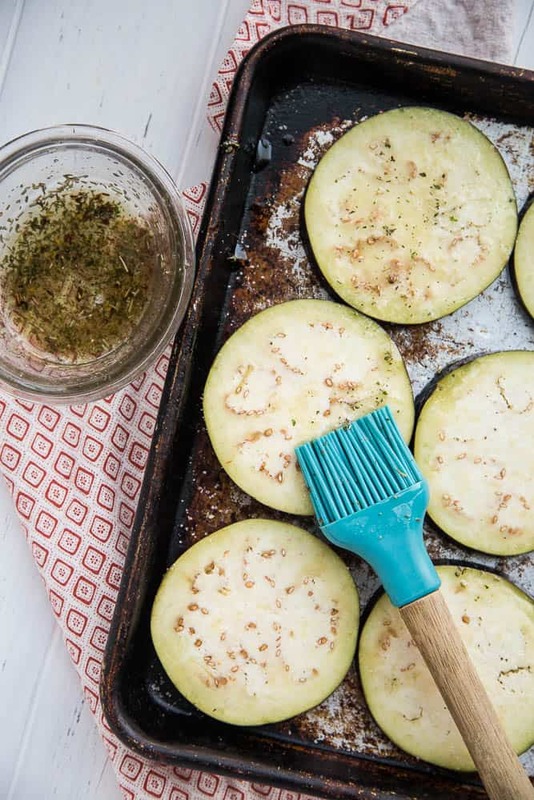 Spread the eggplant out on a baking sheet. Stir together the avocado oil and Italian seasoning. Brush the seasoned oil over both sides of the eggplant. Grill the eggplant slices, covered, for 10-15 minutes, flipping once or twice during cooking, until they are very tender. Turn down the heat if they brown too quickly -- it takes a while for them too cook all the way through. Warm the marinara in a skillet or saucepan, if needed. 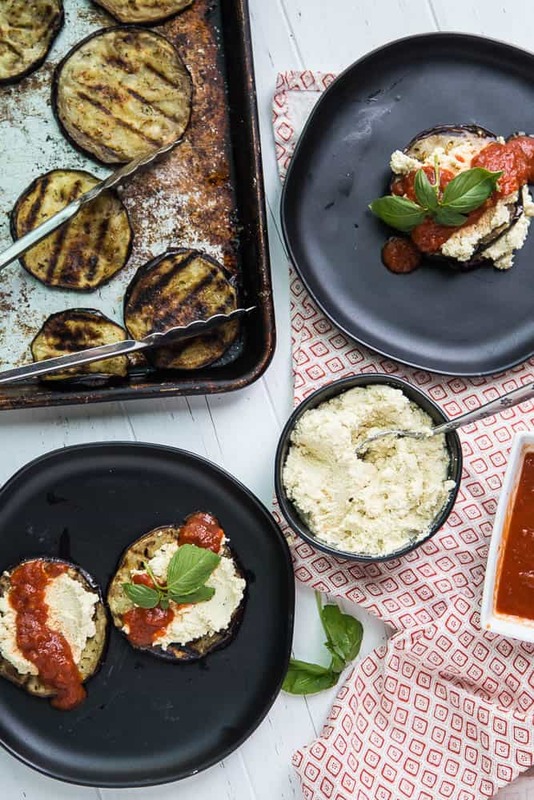 Serve the eggplant slices (stacked or not) with a dollop of ricotta, a drizzle of marinara, and some fresh basil leaves.